England are in a good position at tea on the third day of the fifth Test as they finished on 20-0 at The Oval, with a 60-run lead over India. The tourists were all out for 292 but they will take that after they looked like they were going to be out for much less at one stage. Ravindra Jadeja put in an important innings as his unbeaten 86 helped the tourists get close to England's opening innings total of 332. Jasprit Bumrah was the last wicket to fall as he was run out to give England a good 40 minutes or so to bat out before tea. Alastair Cook, in his last innings for England in a Test match, was given a warm reception by fans of both sides as he took the field with fellow opener Keaton Jennings. The Oval breathed a collective sigh of relief when Bumrah struck Cook on the thigh straight away with his first delivery. That ball was slightly on the high side and the veteran opener managed to survive before going on to get 13 not out, while Jennings was unbeaten on 7. 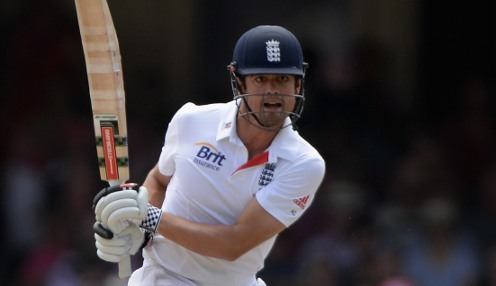 England are 8/11 to win the fifth Test, while India are 12/5 to secure the win at The Oval.